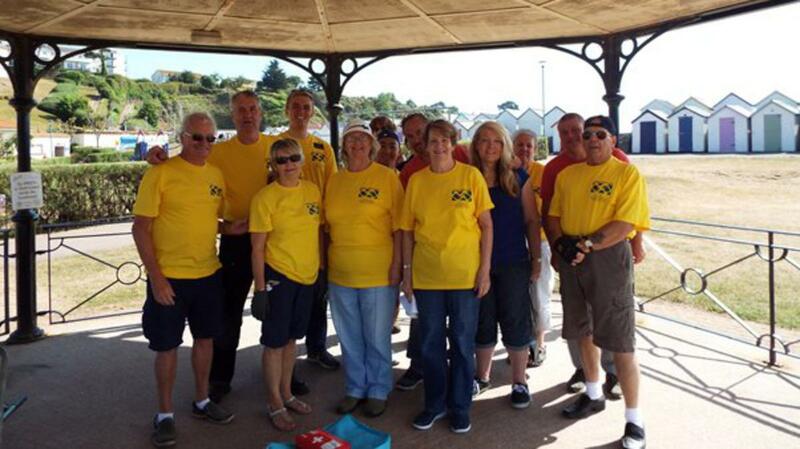 Saturday 30th June, saw members of Paignton Ward don their Helping Hands T-shirts and make their way to Young’s Park, situated near the local chapel. The park is extremely popular all year around, but even more so in the summer, when it is filled with tourists. The bandstand still exists and from time to time brass bands play for the enjoyment of visitors. Ruth Gorman, the Chairman of the Friends of the Park and her associate Jenny Tozer met us at the bandstand, with all the tools and rubbish bags needed for our service project. They informed us they used to have a good many volunteers to help with the park, but over the years these volunteers have become a little older and are no longer able to assist. Our group separated into smaller working parties, covering different flower and shrub beds. Our aim was simply to make a difference by tidying up dead leaves and weed out as much as we could. Ruth went around from group to group, checking we were doing what was needed and giving us support and taking photographs. She was delighted at our efforts. We started off with ten members, but as the event got going, soon others joined in too. We had a really lovely experience working alongside each other, from young children to older members. Throughout our period of service, people were very friendly towards us, and members of the public asked if we wanted to go home with them to tend to their gardens too! At the end of the event, Ruth and Jenny were amazed at the amount of bags we had filled with weeds and dead shrubs (each of us cheerfully exhausted!). Ruth said she was particularly pleased as the following week they were having a committee visiting from Britain in Bloom and she felt the park was in good order after our efforts of the day. We estimated that 40 hours had been spent on cleaning up the park, so it certainly made a difference. Afterwards, Bishop Schofield announced that more hours would be donated more frequently, to help keep the park in good order. 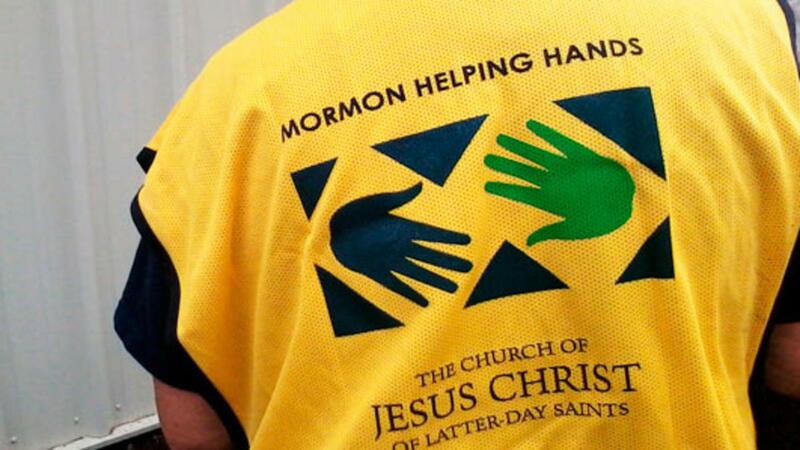 The full time missionaries have also taken it upon themselves to help out regularly as part of their service opportunities. We went home with a wonderful feeling that we had been able to serve our local community and build links with them for the future.